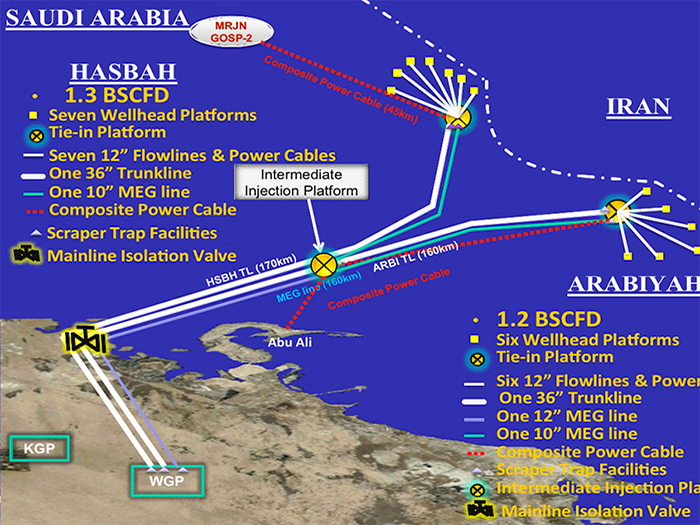 The Al Wasit Gas Program consists in the development of the offshore Arabiyah and Hasbah fields, located approximately 150 kilometres northeast of Jubail industrial city, in the Arabian Gulf. Tecnoconsult carried out the detail design activities of the Pipelines, cables and umbilicals for a new onshore and offshore pipeline system. no. 1 intermediate injection platform (25m WD approx. ).